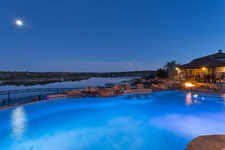 An estate sitting on the pristine shores of Lake Travis affords a lifestyle of unique luxury. 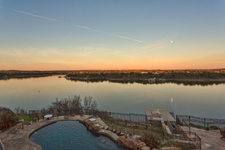 Set on over two acres near Barton Creek Lakeside’s award winning championship golf course this magnificent 11,000 square foot home features expansive hill country and lake views, large chef’s kitchen, home theatre, pool cabana, 7 bedrooms, and much more. 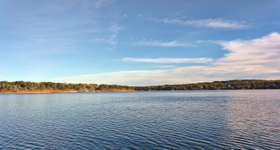 Accessible by tram and stairs, the boat dock has two boat slips, room for 4 jet skis and a large walk-in storage facility. 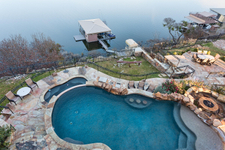 This unique home is a personal paradise right on Lake Travis.